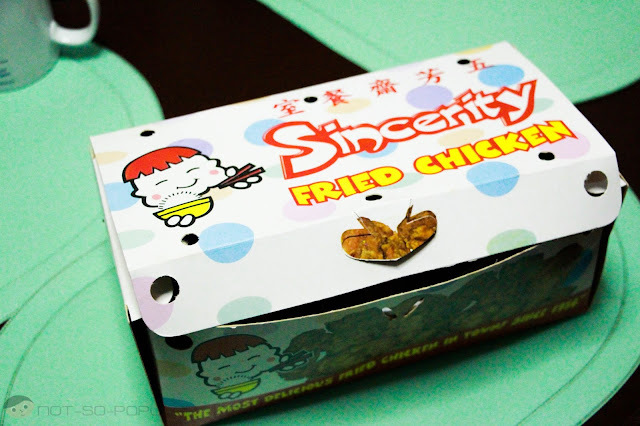 Sincerity's famous tasty fried chicken should surely be part of your Binondo Foodtrip! Anyway, let me share with you a short story on how I met Sincerity. Just some hours ago (at the time of writing this) my sister brought in some chicken from Sincerity. And it was so timely since we didn't have anything for dinner. So, yes, lucky! I immediately sensed the goodness through the aromatic smell that wafted through the room, and it was apparent that it was coming from the box my sister was carrying. Okay, let me first show you this photo which contains the cute "logo" of Sincerity. That's how your face will look like once you taste this chicken! And no, that's not the actual chicken. It's just part of the box where the chickens are. Here's the entire box, in case you are wondering: Right now, it is priced at P300 (as of September 10, 2013) for a a whole chicken (take out). When my sister brought this home, it was still so warm and smelled great! I'm going to open it, are you ready? Well, here it is! This may not seem so appetizing, but that will change when you taste it yourself! 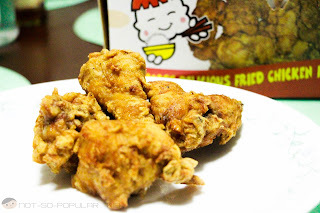 You'll be surprised that even if the chicken looks ordinary and plain, the taste is so great. 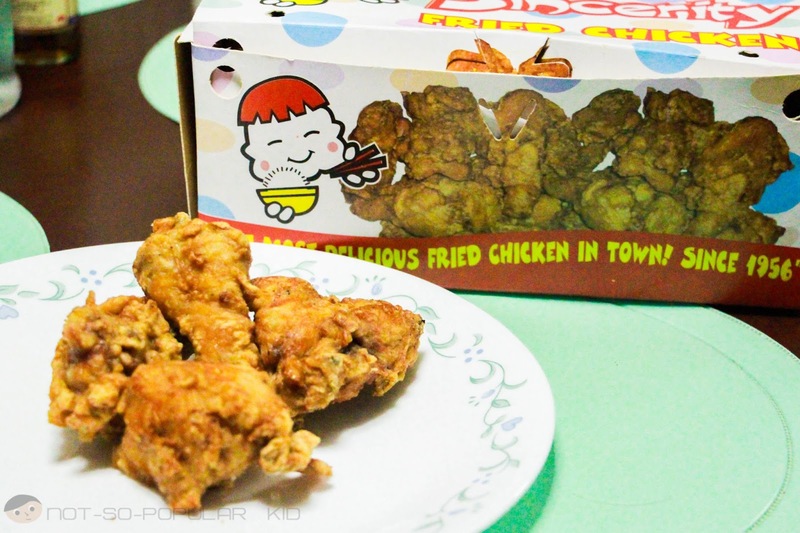 That was my first impression when I saw the chicken. But as soon as I tried it, that impression changed into something a lot more positive. 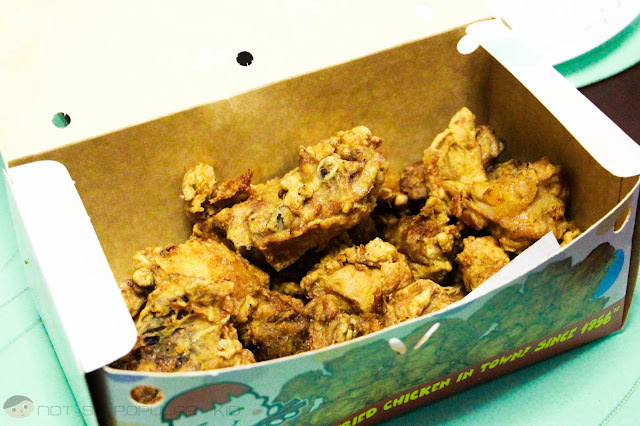 The chicken has this mild hint of sweetness that makes you want to consume more of their chicken. Plus, you will no longer need any sauce or gravy because it's so flavorful and, not to forget, juicy. Hence, you'll really end up smiling and looking like the "logo". So, in case you want to go Christmas Shopping in Divisioria or 168 or you simply want to go food tripping, be sure to check this one out! Your taste buds will surely appreciate the adventure! Sincerity's Oyster Cake - another best seller! Another thing that is very much famous in Sincerity is the Oyster Cake. 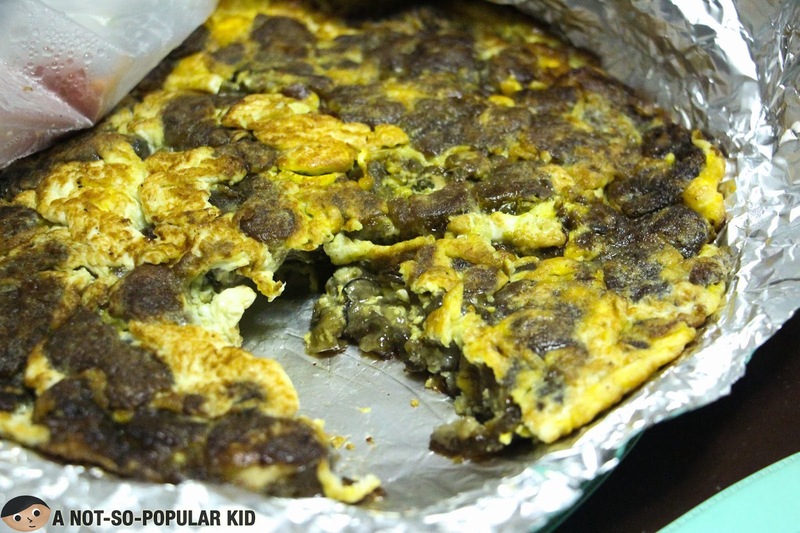 It's a combination of beaten egg, rice flour, oysters and other spices. Some may not like this dish because of its foreign taste, but who knows, this may just be something you'll find delight in! Gah! Why so far? :( Anything similar more nearby? :p Like, South-ish? Hehe.